Blackrow Engineering are an NICEIC Approved Contractor, providing a range of electrical engineering services. Our team of highly-qualified Control Engineers provide a control panel design and manufacture service for both stand-alone control panels or a full control panel system. Panels can range from single motor control panels to multi-section MCC’s. Our team of in-house software engineers provide full PLC and HMI solutions. 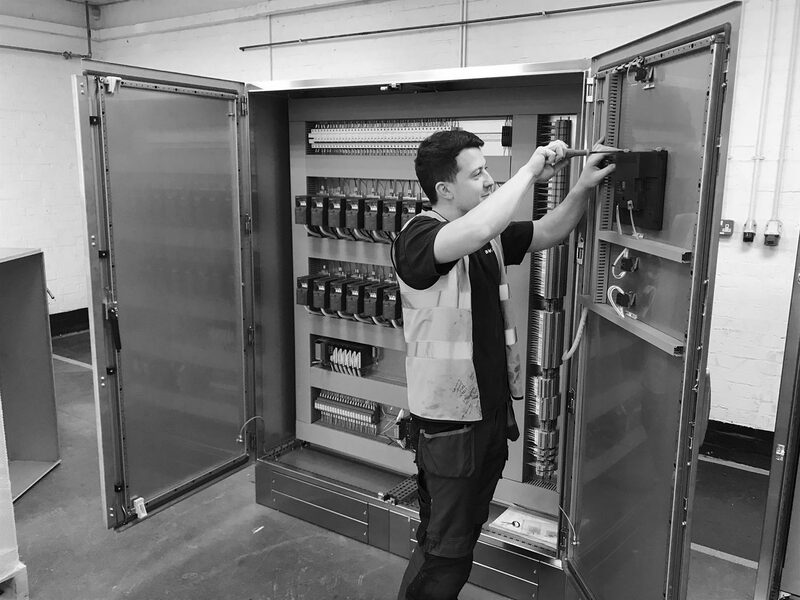 If you would like to discuss our electrical engineering services, get in touch with our Projects Team who are happy to discuss your requirements.